Possibly one of the most popular bonsai trees on the market is the beautiful Juniper bonsai tree. This type of bonsai tree is found in numerous countries all around the globe. There are more than fifty different varieties of Juniper bonsai tree available. Some of the more popular varieties include the Needle Juniper bonsai tree and the Chinese Juniper bonsai tree. They are also one of the easiest bonsai trees to care for, making it an excellent choice for individuals who are new to the world of owning a bonsai tree. It is one of the few bonsai trees that can be placed indoors or outdoors. With the right amount of light and humidity, the Juniper bonsai tree can thrive in any condition. Description Juniper trees belong to the Cypress family of plants. The trees are coniferous, and their growing habits range from low-growing shrubs to tall trees that reach heights of 15 to 16 feet. Juniper wood has a rich, red hue. The hardness of the wood makes it highly suitable for cabinetry. Juniper trees produce berries that are valued as spices, and for flavoring gin. They are also used in Scandinavian dishes. Position Grow the plant in a location that receives more than four hours of sunlight each day, and in soil that tends toward dryness. Watering Junipers prefer soil that is slightly dry, but it should not be exposed to prolonged dryness. It is best to water the plant well, allowing for proper drainage, and then allow the soil to become dry before watering again. The juniper bonsai tree needs a certain level of humidity for optimal growth. This can be accomplished by misting the leaves regularly and/or using a humidity tray on which to set the plant pot. Feeding Feed the tree with half-strength liquid fertilizer once a month in during the spring and fall seasons. Do not feed the juniper tree in the summer months. Also, do not fertilize the tree immediately after it has been re-potted. Leaf and Branch Pruning Spring and summertime are the best seasons for pruning the juniper tree. New shoots should be pinched back once they reach a length of one inch. This can be continued from spring until the middle of September. Re-potting & Growing Medium Growing junipers in containers will retard their growth. They fare much better when grown in the ground in regular garden soil. If grown in pots, juniper bonsai trees under 10-years-of-age should be re-potted every two years. Those older than 10 years should be re-potted every three or four years. Root pruning should be undertaken at the time of re-potting. Wiring Juniper bonsai trees do take well to wiring, but care should be taken so as not to damage the plant. Wire cutters should always be used when wiring is undertaken. Notes The juniper bonsai tree is more inclined to thrive on neglect rather than on being pampered. The tree dislikes too much watering or too much feeding. Dissimilar to a large number of bonsai tree types, the Juniper bonsai tree does not mind drying out between getting watered. However, it is still important for owners to take a look at the soil each day to figure out when to water the Juniper bonsai tree. To determine if the Juniper bonsai tree needs more water, individuals should do what is called the “chopstick method.” Take an ordinary wooden chopstick and stick it about an inch or two into the soil. Let it sit there for about ten minutes. Take out the chopstick and examine it. If it is damp, that means the soil is still wet and the Juniper bonsai tree does not need more water. If it is dry, then it is time to water the bonsai tree. When watering the Juniper bonsai tree, make sure the water is able to drain. If the water does not drain, it can cause the roots of the bonsai tree to rot. It is also good to have a spray bottle handy to lightly spray the foliage. This not only helps them to breathe, but especially in the case of Juniper bonsai trees that are kept indoors, it will help the foliage breathe better. The spraying method is also important for Juniper bonsai trees that have recently been re-potted. The roots need a bit of time to settle and be able to get water to the tree. By spraying the foliage, owners prevent the bonsai tree from becoming dehydrated. While it is okay to keep the Juniper bonsai tree inside the home, they can adapt to being outdoors and that is where a majority of people like to keep theirs. While the Juniper bonsai tree can handle full, direct sunlight, it is best to put it in a place where it can get afternoon shade. If keeping the Juniper bonsai tree inside the house. Make sure it is put in a light and airy location where it can get the sunlight it needs. For all bonsai trees, humidity is an important part of the growth cycle. Many people place a humidity try right underneath a potted Juniper bonsai tree to ensure a high level of humidity is reached. The pot, however, should not sit directly in water as this can submerge the roots and cause rotting. Without the proper amount of humidity, the Juniper bonsai tree will wither up and die. The Juniper bonsai tree should be treated with fertilized roughly once every three weeks. During the spring months, it is best to utilize a fertilizer that is high in levels of nitrogen. In the summer, a balanced fertilizer is the most optimal choice. During the fall, it is best to use a fertilizer that is low in levels of nitrogen. Because the Juniper bonsai tree is dormant in the winter, it does not need any fertilizer during the winter months, but still do not forget to water it! Juniper bonsai trees are coniferous plants that belong to the Cypress family. When it comes to their growing habits, they are ranging from low-growing shrubs to stunning tall trees reaching up to 16 feet high. Juniper wood is hard and has a rich and red hue, making it a highly suitable wood for cabinetry. They produce berries which are greatly valued for flavoring gin, spices, and used as the main ingredient for Scandinavian dishes. Juniper bonsai trees are often considered the easiest of all bonsai trees to grow because of its durability in the sunlight and its versatility. The primary reason they are so easy to grow is, unlike other bonsai trees that are categorized as being either indoor or outdoor plants, the Juniper bonsai tree can be raised either outdoors or indoors, whatever the owner prefers. However, it has been noted that Juniper bonsai trees do prefer to be raised outdoors rather than indoors. Some people put them in containers, which is okay but it can restrict the growth potential of the Juniper bonsai tree. They are not very demanding when it comes to being placed outside and can be placed in run-of-the-mill garden soil. Another benefit of the Juniper bonsai tree is that it is actually okay to neglect it. While this may sound quite odd, the truth is that the Juniper bonsai tree can actually die if it is over-fed or over-watered. Like most other bonsai trees, the Juniper bonsai tree is dormant during the winter months and does not need to be fed or watered often. Those who keep their Juniper bonsai tree outdoors but live in cold winter climate areas should bring their Juniper bonsai tree in so it will not die. However, even during dormancy, do not forget that it still needs some sunlight! The Juniper bonsai tree is a great choice for all bonsai tree enthusiasts – from beginners all the way up to experienced professionals. It is a beautiful looking tree that can definitely add some character to any room in the house, or be a perfect addition to a Zen garden or oriental-inspired garden area. The Juniper bonsai tree is the most favorite and most preferred subject that is linked with bonsai trees. Juniper bonsai tree has always been known to be one of the all-time favorite and most famous of all the bonsai trees among enthusiasts like you. This is because of the flexibility of its branches and it is amazing growing traits. 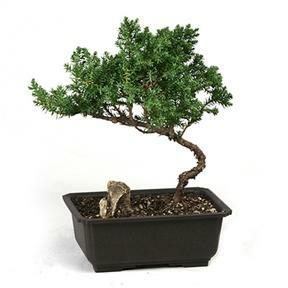 You can also note that the Juniper bonsai tree is known as highly trainable and very easy to shape. 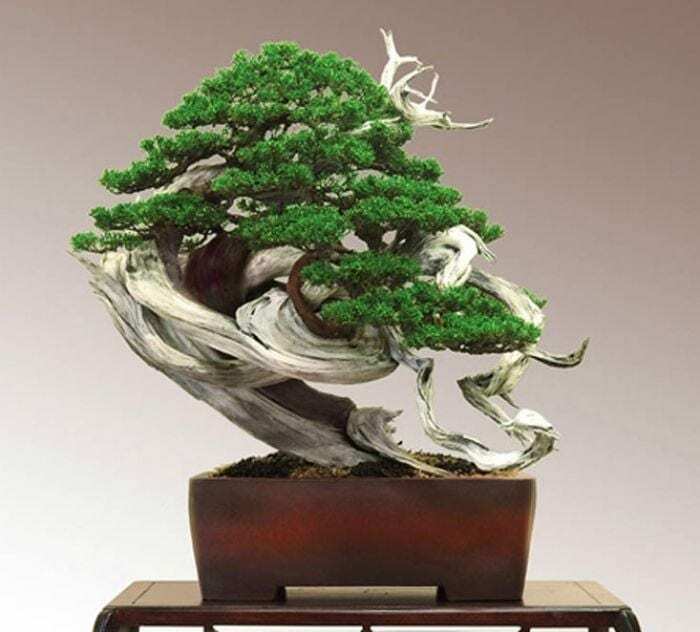 Most of the different types of bonsai trees that are bushy and also grown with flexible trunk, making the bonsai tree very easy to train using the wiring technique. The juniper bonsai tree has also an adaptable trait and it can adapt to a lot of different environments so long that it gets watered on a regular basis you can ensure its survival this way. So you will not have a hard time taking care of this plant. Juniper tee is a type of evergreen shrub which you would see then and works very well inland borders, topiaries, in rock gardens and places where soil erosion needed to be controlled. The Japanese junipers also grow outdoors in U.S. The Department of Agriculture plant these trees in zones 4 until zone 9, but they are planted mostly in containers and grown as bonsai trees. When you grew them as bonsai, the Juniper shrubs can survive anywhere, because of its portable nature, these small plants can make it easy to overcome winter when indoors during cold climates. The Juniper bonsai is also known in its scientific or botanical name as the Juniperus Chinensis. The Juniper trees came from Cypress family of plants. These trees are considered coniferous. The growing range from a low-growing shrub to a tall tree which can reach up to 15 to 16 feet in height. The wood that this tree can produce is rich red in color. The woods’ hardness makes it highly preferred for cabinets and other wood furniture. The Juniper trees also produce berries that are valued as spices, and for other flavoring purposes and you can also taste it in Scandinavian dishes. The juniper tree genus has about 50 to 70 species in the cypress family. The Juniper is evergreen coniferous either trees or shrubs, which has been very famous to be grown as Bonsai. The Juniper Bonsai trees you can see in the store that is sold are often the Japanese Garden Junipers or also known as the Green Mound Junipers, scientifically known as Juniperus procumbens nana. While other well-known species of Juniper are the Chinese juniper or Juniperus chinensis, another one is the Japanese Shimpaku or called Juniperus sargentii, one more is the Japanese needle juniper or Juniperus rigida. There are two central European species, first is the savin or also the Juniperus sabina and the second is the common juniper, known as Juniperus communis. There are also three American species, first, the California Juniper or Juniperus California, second, the Rocky mountain Juniper or called Juniperus scopulorum and third is the Sierra Juniper also called Juniperus occidentalis. Even found in different parts of the world, all these species share the same care guidelines. The Juniper species have colors that range from dark blue-green to light greens while the foliage could either be a scale-like or a needle-like. Scale type junipers commonly have a needle-like foliage when in their so-called juvenile foliage, then the scale-like foliage shows later. After the heavy pruning or bending, or even over watering or putting other stresses that often the juvenile foliage grows again. This could last for a few years until enough of normal scale-like foliage had grown and then this is the time that all the needle-like foliage could be trimmed. The cones are berry-like, shaped in either round or oval. The shape depends on the species and the cones can measure between 3 mm to 2 cm and a year or two is needed for them to ripe. Their seeds are round or edged. Their cones are more often eaten by birds who scatters germinable seeds in their droppings. Junipers are suitable for creating deadwood or jin and shari. This is because of the live veins below a broken or a dying branch will dry out and die and this will result to a natural deadwood that is peeled, even polished and bleached by climatic conditions and Juniper is known to be very durable. Having a tricolor of green foliage, such as reddish-brown or yellowish-brown bark and a silvery white deadwood is very attractive and appealing for decoration. There are over 50 different Juniper bonsai tree varieties available. Some of the most popular varieties of Juniper bonsai include the Chinese Juniper and Needle Juniper bonsai trees. They are one of the easiest bonsai species to care for, so they are an excellent choice for novice bonsai gardeners. Juniper bonsai trees can be placed either indoors or outdoors, provided that they’re given the right amount of light, water, temperature, and humidity in order to survive in any condition. Grow your Juniper bonsai tree in a location where it can receive more than 4 hours of sunlight every day, and in a soil that tends to dry. Unlike a large number of bonsai tree species, the Juniper bonsai tree doesn’t mind drying out in between watering. They can withstand dry soil or drought better than other bonsai varieties. Without the right amount of humidity, your Juniper bonsai tree may wither and eventually die. A lot of Juniper bonsai gardeners place a humidity tray right underneath their potted Juniper bonsai trees. This is done to ensure a high humidity level. However, the pot shouldn’t sit directly in the water because submerging the roots causes rotting. For all type of bonsai trees, humidity plays an important role in plants’ growth cycle. Many bonsai growers place a humidity try right below the potted Juniper bonsai tree to make sure that there is a high level of humidity. However, the pot should not stay directly in the water because this can submerge the roots and could cause them to rot. Without the right level of humidity, the Juniper bonsai tree will end up withered and would die. In the cold months and your bonsai is indoor, it is recommended to place it in a shallow tray that is filled with a gravel with some water added. This would provide an extra moisture around the tree when the water evaporates and then lessen the amount of moisture lost because of modern heating systems. The Juniper Bonsai is a miniature version of the actual tree and it is not a houseplant so your bonsai must be kept in a cool or cold environment in the winter season. You have to grow your juniper bonsai tree where it will be receiving more than 4 hours of sunlight every day, and use a soil that tends to become dry. You need to place the tree outside, all year-round where it is under a bright spot exposed with lots of sunlight. The Juniper plants are not suitable to live indoors. In the winter season, you need to protect the tree if the temperature drops below -10 degrees C or 14F. Some Juniper species will change their foliage color during the winter periods to a purplish brown this is associated with their frost protection mechanism. While in the spring they turn back to green again. It is alright to keep the Juniper bonsai tree indoors as they can adapt easily when out outdoors and that is where a majority of growers like to keep their plants. The Juniper bonsai tree can still manage to be under full and direct sunlight, it is still recommended to put them somewhere they can be exposed to the afternoon shade. If you intend to keep your Juniper bonsai tree indoors, you have to make sure that it is located in an area that it can still get sunlight and have enough air. Juniper bonsai trees are often recognized as the easiest of all bonsai trees to grow and cultivate because it is durable in the sunlight and it is also versatile. The main reason why they are so easy to grow is that not like the other bonsai trees which are categorized indoor or outdoor plants. The Juniper bonsai tree can be raised in two ways; either from the outdoors or indoors, anyways it is you decide to make. But it is believed that Juniper bonsai prefers to be to grow outside. There are some growers that place them in containers, which may result in restricted growth potential. They are not very demanding too when it comes to the soil. Another good reason to start growing the Juniper bonsai tree, because is plant can be actually left all alone and to neglect it. This may sound quite odd, but the truth about your Juniper bonsai tree can actually die if it is over-fertilized or even over-watered. Just like most other the bonsai trees, the Juniper bonsai tree is in hibernation in the winter months and sometimes they do not need to be fed with fertilizers or watered often. The Juniper bonsai tree is the top choice of all bonsai tree enthusiasts, from novice growers all the way up to the experts or experienced professionals. Juniper bonsai tree is a very attractive looking tree that could definitely add some more character to any space in your house, or could be an ideal addition to a Zen garden or some oriental-inspired garden area. Again, the beauty of growing the juniper bonsai tree is because it can thrive even if neglected and they enjoy that even better compared to being pampered and where everything is handed over. These type of tree do not like to have too much water or overwatering and another one is too much feeding of fertilizers. With the proper care, your bonsai will be kept healthy, beautiful and miniature in the years to come. Since your bonsai is also a living miniature tree, it will gain more beauty as it age through the years. Not like a large number of bonsai tree types, the Juniper bonsai tree really does not mind if they end up drying out in between getting watered but it is still very important that you look at the soil every day to check if the Juniper bonsai tree needs watering. Step #1: You just need an ordinary wooden chopstick and then insert it in the soil for about an inch or two. Step #2: Let the chopstick sit there for ten minutes. Step #3: After 10 minutes take out the chopstick and examine it. You need to check if it is damp then it means that the soil is still wet so you do not need to water the plant since it is wet. If the chopstick is dry, this is the right time to water your bonsai tree. Tip #1: When you water the Juniper bonsai tree, you have to make sure that excess water is drained. If the excess water will not be drained, this causes the roots of any bonsai tree to rot. Tip #2: It is also advisable to have a spray bottle and lightly spray the leaves. This helps them to breathe, and most especially in cases of Juniper bonsai trees that are stored indoors. This is called spraying method and this method is also essential for the Juniper bonsai trees that have been recently re-potted. This is because the roots needed time to be settled in the new pot and soil and be able to transport the water up to the tree. When spraying the foliage, you can avoid dehydration of the bonsai tree. Tip #3: But be careful you might water the bonsai plant too much because the juniper roots do not like the soil wetness. Make sure that before you water the soil, it should slightly dry. Spray misting the tree should be done regularly, most especially after re-potting the tree because the plants benefit from air humidity. Water your bonsai trees twice a day, in the morning and in the evening. Avoid watering the leaves of your bonsai when the sunlight is very hot or strong. Doing so will lead to burning of the leaves. Don’t water your bonsai plants when the sun is too hot because the water inside the container will get too hot and it will spoil the roots. If you are going somewhere or on a long trip and you won’t be able to water your bonsai every day, watering it a lot will help. Leave your bonsai in a place or somewhere it is cool with no exposure to the sunlight. Put the container in a bucket with water so your bonsai plant can obtain water from the bottom. Doing these things will help your bonsai to survive for around 2 to 3 days. Don’t water your bonsai trees when the temperature is too cold or it is freezing, most especially early morning or at midnight because frozen soil may kill your plant. Don’t water your bonsai trees in the evening. You need to water your bonsai once a day. Although the time of day does not matter, water your bonsai trees regularly around the same time daily. Because watering bonsai trees is not all about pure watering. It is also about taking the air inside the container. As you water your bonsai plant every day, you will notice if it needs more or less water by observing many things like the soil color, and the condition of the soil. You need to keep a good track of all these things to improve your training. In Japan, an aspiring master in watering bonsai takes about 3 years. If you’re serious about growing a bonsai tree, you need to learn the art and science of watering bonsai. This is one of the most important activities when taking care a bonsai, and it takes many years to master it. If you give attention to your juniper bonsai tree even just to watering, you’ll learn a lot from your bonsai that will you become a better gardener. There are many signs that your bonsai will give you, so pay attention to them. Observing things that are quite different from what you do every day would really help you in bonsai gardening, and you’ll soon become a master of bonsai. Green moss is beautiful and it can make your bonsai tree looking more artistic. However, there are a few things you need to be aware of about green moss. Green moss helps in keeping the water inside the container or pot. It prevents the water from drying out fast. Green moss absorbs water for a longer time, so if you’re watering through green moss, you need to make sure that plenty of water is coming out from the bottom of the pot to avoid root rot and fungal diseases. The Juniper bonsai tree is recommended to be treated with fertilizers at least once every three weeks. In the spring months, it is best to use a fertilizer that is rich with nitrogen while during the summertime, using a balanced fertilizer is the best choice. In the fall season, use the fertilizers that are low in nitrogen content. The Juniper bonsai tree is normally dormant in the winter season so it does not need any sort of fertilizer during the winter months, but it is still essential to water it. 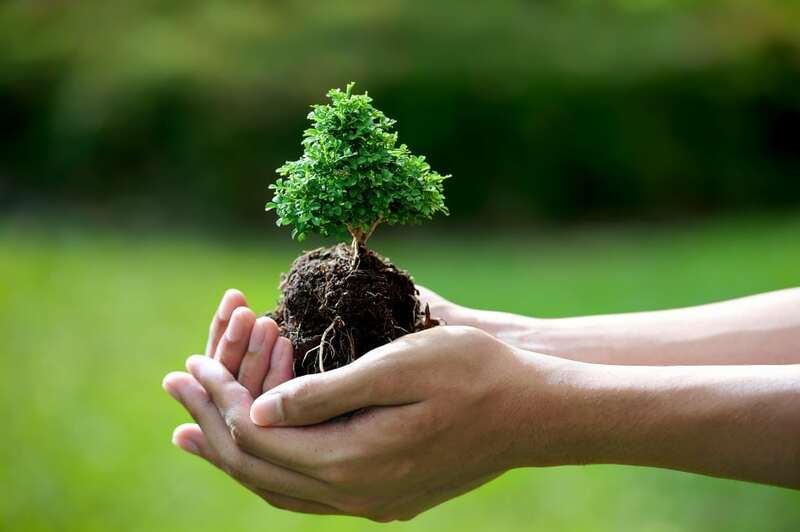 You can use regular organic fertilizer in the form of balls or pellets monthly while your bonsai tree is in the growing season, or you can also use a liquid fertilizer every week. If you wanted a strong growth you can apply some higher nitrogen content fertilizer. It is during the spring and summertime that is best seasons for pruning your juniper tree. This is when new shoots are pinched back once they have reached a length of one inch. This is to be continued from spring until in the middle of September. In order to develop the foliage pads, the long shoots that stick out can now be pinched or cut at the base all throughout the growing season. Make sure that you do not trim the juniper like a hedge because removing all growing tips can make the tree week and needles will turn to brown when cut. If the foliage pads are now too dense it must be thinned out at the base. Generally, the Juniper Bonsai is a strong tree because it can handle aggressive pruning very well. Tip #1: The Juniper bonsai tree cannot take wiring so well and care should be observed to avoid damage to the plant. The use of wire cutters should always be used when wiring is done. 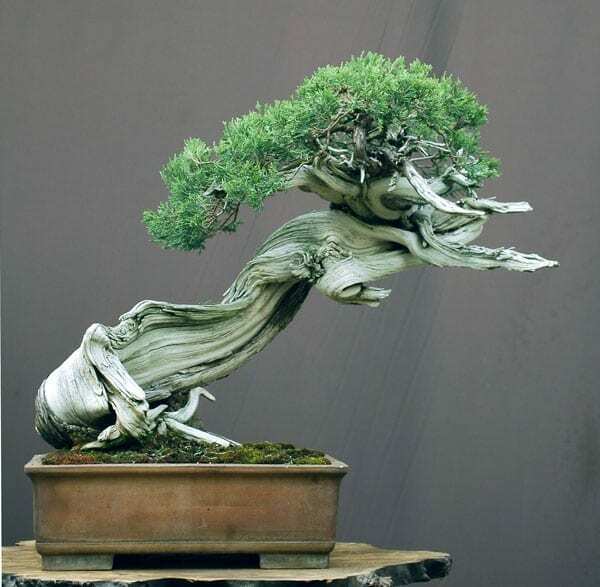 Junipers which are developed for bonsai purposes are wired quite heavily already as young plants. Tip #2: Junipers can withstand strong bend, sometimes it is necessary to wrap them with raffia or tape to serve as a protection, but you have to be very cautious with parts that have deadwood because those parts could break easily. If the Juniper tree is large and old, you can split the deadwood off so that you still bend the more flexible living parts. Tip #3: After thinning, the foliage pads needs to be wired and fanned out this is necessary because it will let light and air get in. If this is not done, the inner areas of the foliage pads will die. Moreover, there is a possibility of pest infestation if the pads are too thick. 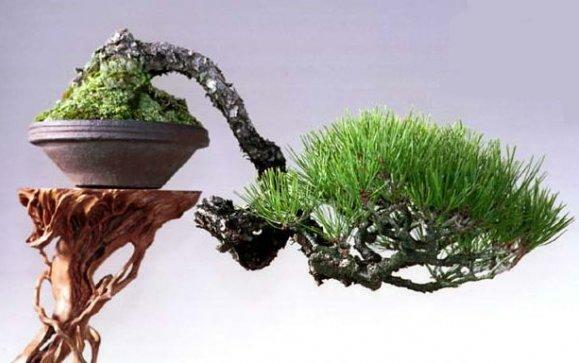 This bonsai style if formed from the roots to the top with a gradual tune outlining the front and back portion, as well as the left and right part of the bonsai. 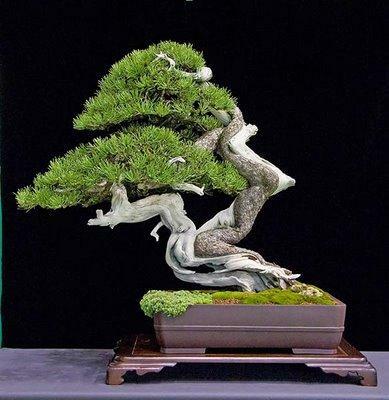 It tries to express that the bonsai tree grows up while bending due to wind action in a long tract of years. Wire the bonsai trunk and bend it to the front and back, as well as the right and left. It is best if your Juniper bonsai tree if it has a trunk with a twisted part. The top of the bonsai tree should be covered with a dense foliage. You need to make a jin on the remaining of a cut bonsai branch. Don’t use this style when your bonsai has a hump-looking trunk even though the form itself bends in different directions. The bonsai branches are used as a technique of taking the perfect balance in this effect because there are usually many twists and curves. Remember that one of the most unwanted bonsai shapes for informal upright is a bonsai trunk that stands a little bit from the bottom part, bending to any direction. The bottom of the trunk should bend in the same direction where the bonsai trunk is bending to. 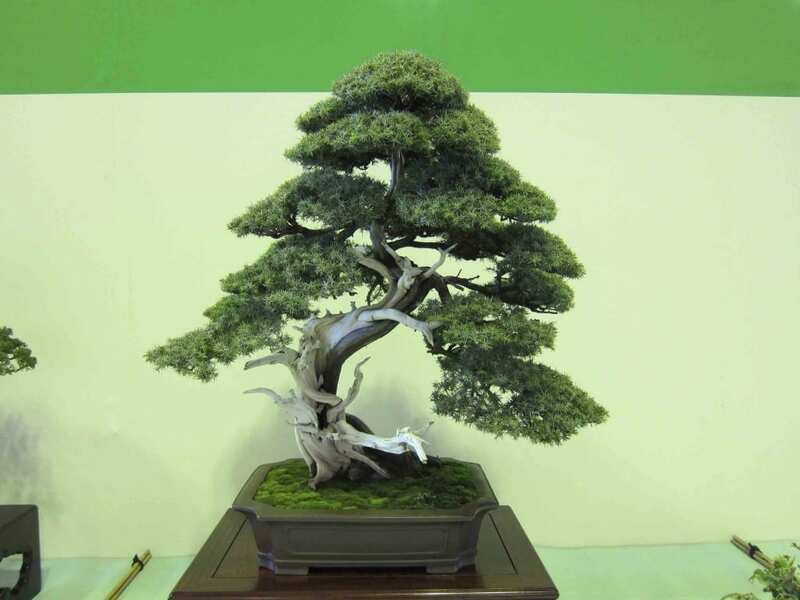 In this example, the main trunk in space A with too many parts is curving and growing on the top for the bonsai with informal upright style, making a less impression of a good informal upright. The space B grows too straight at the bottom for the informal style shape. If the trunk slants slightly to the left from the bottom, then this is better. 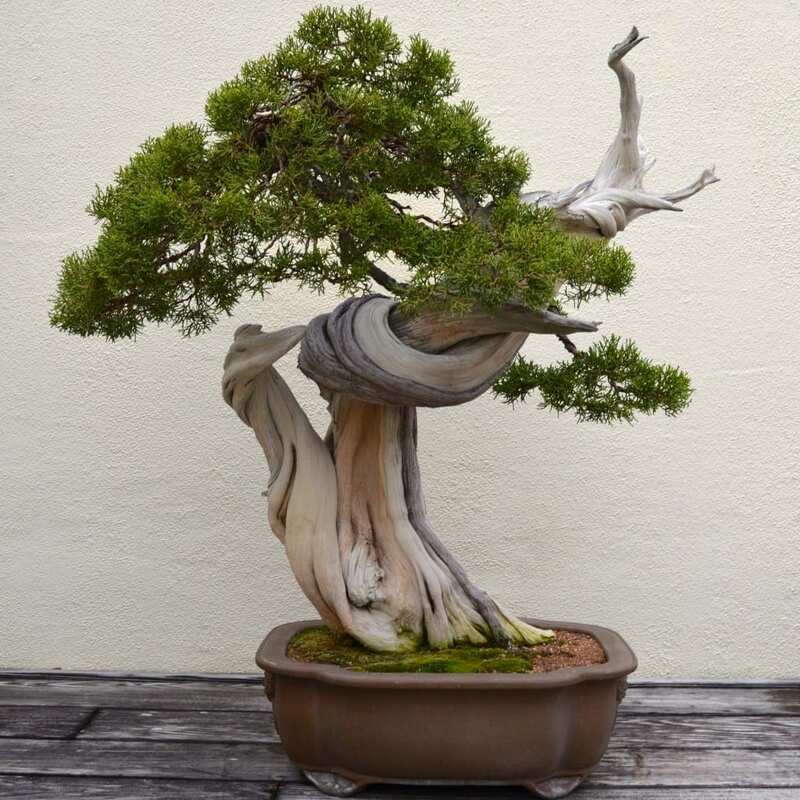 When you create a cascade juniper bonsai, it is intended to reflect and express the shape of a tree that experienced a difficult time, yet still standing and perseveres. It is best bonsai shape to imagine as a result of the winter snow’s crushing weight, mudslides, or landslides. These types of natural catastrophes can twist a tree downward in nature and so as depicted by a bonsai in the cascade style or form. The main trunk of a Juniper bonsai tree in a cascade style bends downward, past the lip of the pot and past the root line. The branches on the main trunk are reaching outwards and upwards, as though they are striving for sunlight. A cascade bonsai style in Japanese is referred to as a “kengai” bonsai. Tip #1: Prepare your pruning scissors, wire, and cutters. Trim away half of the bonsai tree’s branches. Think about which branches you want to remove very carefully. Remove any undersized or small branches growing from the bonsai trunk itself. Tip #2: When you start cascading juniper bonsai tree, you’ll need to add some form wires to the bonsai plant. Wrapping the 75% of the trunk, beginning at the base is important using a protective covering like raffia. Tip #3: Anchoring a thick wire near the trunk’s base and carefully wrapping it up the trunk is essential. Just be careful not to wrap too tightly because it may damage the bonsai trunk as it grows. Tip #4: You can wrap the wire and bonsai trunk over with raffia once the wire is around the juniper bonsai to help in keeping the wire from moving. Tip #5: Now, bending the trunk of your juniper cascade bonsai is needed. Think very carefully about how you want your juniper bonsai tree to look. Always keep in mind that you need to strive to mimic nature, and you’re not creating a modern art piece. Just imagine your bonsai tree that is heavily pushed down by frosts and snows over the edge of a magnificent cliff. The top of your bonsai tree should come down below the bottom when bent in the correct shape. Once you have the best shape in mind, just grasp the base of your bonsai using one hand, bending the trunk to this best cascade shape. Tip #6: Now, it is time to wire the branches of your juniper bonsai. Using a smaller gauge wire on the bonsai branches is important. Do not wrap the branches of your juniper bonsai tree too tightly. Trimming away any branches facing directly the side of the pot is important, and other branches are bend out horizontally from your bonsai tree’s main trunk. Tip #7: Just continue making minor adjustments to the branches of your juniper cascade bonsai while the branches are filling out. Eventually, you can remove the wires and your juniper bonsai tree will reflect that nature’s persevering force even when faced with great adversity. While these plants are some of the more popular bonsai trees for creating a cascade bonsai, they are not the only plants suited for this style. Any juniper or pine does well for cascade style of bonsai. You can also use other trees for this bonsai style as well, as long as they don’t grow upwards vigorously. Junipers cannot withstand heavy wiring. You need to be careful wiring your Juniper Bonsai tree and ensure you follow the above tips to have a healthy and beautiful bonsai. You have to repot the Juniper Bonsai tree at least once every two years. For very old trees it should be done in longer intervals, using a basic soil mixture. Make sure that you do not prune the roots too aggressively. Growing the junipers in containers will result in stunted growth. They are much better grown in the ground using regular garden soil. If you grow them in pots, juniper bonsai trees that are under 10-years-of-age should be re-potted at least every two years. Those plants that are older than 10 years should be re-potted at least every three to four years. You have to do root pruning at the time of re-potting. Repotting must be done periodically on all types of bonsai especially if their root system has already filled the pot. The main reason for repotting is to supply your tree with fresh soil, and also to encourage a more compact root system. As a general rule to most deciduous trees, they require repotting at least every two or three years, while the evergreens only need repotting every four or five years. Due to the different rates of growth, sometimes the general rule cannot be followed, so it is better for you to check once in a while the root system of your plant if it becomes a pot bound. Step #1: Know the best time when your Japanese bonsai tree needs to be re-potted. Remember that the main reason why you need to re-pot your bonsai tree is to prevent the roots from choking itself off. For you to know whether or not root bound is happening, you can gently and carefully lift the entire bonsai tree from the pot. If you notice the roots have started circling around the pot and around themselves, it is the perfect time to re-pot your Juniper bonsai tree. Otherwise, the roots will grow very thick enough, displacing all of the soil within the roots or root system, and your bonsai tree will starve. Step #2: Determine and choose the right time of year for re-potting your Juniper bonsai plant. Ideally, re-potting should be done in early spring. During this time, the tree is not under the pressure of getting and maintaining a full foliage and thus will be subjected to less of shock and stress when re-potting. The vigorous growth that usually starts during spring will also help your bonsai tree to heal any damage caused by re-potting. Step #3: You need to remove the old soil from the roots of the Juniper bonsai tree. Once you have lifted your bonsai tree from its container and decided to re-pot it, you will need to remove the old soil as much as you can. Knocking the soil out of the root system can be done with the use of your fingers or a specialized tool referred to as a root hook. Gently disentangling the roots of your Juniper bonsai should be done if they have grown thickly and heavily together. Removing the excess roots and soil is an important step in re-potting. Be careful not to dry out or damage the root ball. Step #4: Remove some roots of your Juniper bonsai tree. After you have untangled the roots, pruning back some of the longer roots will keep your Juniper bonsai tree from outgrowing its container or pot. During this time, you need to also remove any rotting or sick roots. 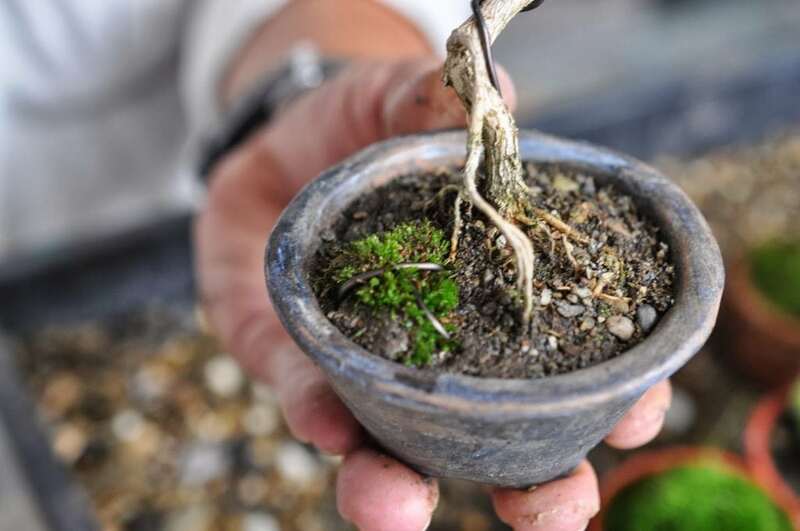 As a general rule of thumb, avoid removing more than 25% of the bonsai tree’s total mass of roots to ensure that there is enough root mass left for water and nutrient absorption for your plant to survive. Step #5: Reposition your bonsai tree in its container. When the bonsai roots are trimmed, carefully lower your bonsai tree back into its pot. Filling the pot to the brim with preferred potting mix should be done after. Working into the soil and the root structure will prevent air pockets to be left behind in between the roots. Generally, a bonsai potting mix should consist of gravel, akadama, and compost in a ratio of 2-1-1. Akadama refers to a special type of granular clay that is produced most especially for potting or re-potting bonsai trees. You need to make some adjustments in this ratio depending on your location’s climate and bonsai tree species. Step #6: Watering your juniper bonsai tree after re-potting will help the compost soil to settle. Keeping your Juniper bonsai tree protected against a strong gust of winds for about a month or so after re-potting is important as your bonsai has not established a good hold of its roots into the soil. Bonsai trees, like any other plants grown in pots or containers, should be regularly re-potted. This is done to keep our Juniper bonsai tree healthy and strong by replenishing the nutrients from the soil, regulating its root growth, and keeping the compost soil from being too compacted that may lead to rootbound or choking. Now, you have just learned how to re-pot your Juniper bonsai tree, so you are ready to apply and hone your skills. Juniper bonsai trees can take care of themselves, but they are not exempted from extremely cold temperatures during winter, late-season frost, reflective heat emitted by buildings, excessively wet soil, rock mulch, shade, poor or excessive drainage, competition from other shrubs and trees, and also soil disturbance, causing harm and damage to your Juniper bonsai trees. These factors are abiotic, influencing your Juniper bonsai that are not directly related to living organisms like insects, mites, bacteria, or fungus. Abiotic maladies are caused by extreme weather conditions, vandalism, poor growing or cultivating conditions, or encouragement of the other bonsai landscape trees at the expense of Juniper bonsai trees. It can be challenging to determine the exact cause of an abiotic problem. In most cases, it is helpful to take a thorough inspection of the site, reviewing weather conditions, and observing ailing Juniper bonsai trees for the presence of symptoms of pests or diseases such as the ones discussed below. Since your bonsai is a miniature version of the real tree, it can be infested with insects and other diseases just like any other tree. If your juniper tree is taken cared off very well and located in an ideal position, they are considered quite resistant to pests. It is very essential not to let the foliage pads get too thick and dense because this is the area or places that pests love to stay. During the winter season, your junipers must be located in a place that has enough light and you must check them regularly if there are pests thriving in them even in the winter time. Junipers could be infested with spider mites, some with juniper scale, others with juniper aphids, juniper needle miners, and juniper webworms. Your regular insecticide or miticide sprays will help a lot but you also need to find out the reason why the tree was prone to infestation. A major problem is the fungal rust diseases. The large juniper species and cultivars have their own and very different level susceptibility to rust fungus, but there are also a few that are tagged as resistant. The general rule, the blue-green junipers are more resistant than the plant with yellowish-green foliage. The Japanese junipers are not infested that often. On the internet, you can search and find files or articles that have a list of many juniper species and cultivars as well as their susceptibility or resistance level from rust fungus. This rust fungus could infest the junipers permanently and can cause swellings from which hard, brown galls emerge. In spring, in the rainy weather, the female plant can produce larger, orange, gelatin-like tendrils, full of spores, that infest the leaves of pear trees. This fungus can cause orange spots on the leaves. While in late summer, a brownish proliferations grows from the bottom-sides of the leaves that release spores which can infest junipers again. On the other hand, the pear trees who were infected are not fatally affected. There are new infestations each year but these infestations can be easily treated. 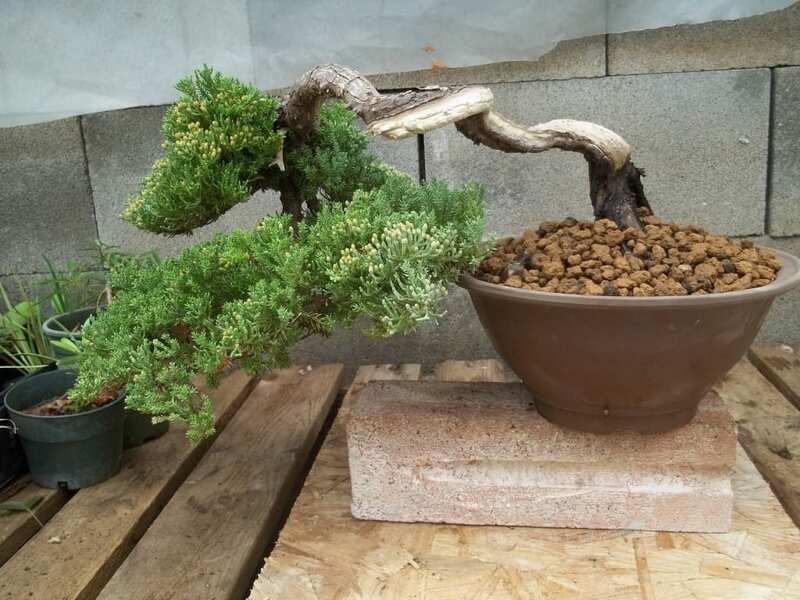 This tutorial had given you the idea what is a Juniper Bonsai tree and everything about it. Just make sure that you really care about the plants around you and let your passion guide you in cultivating not just the Juniper Bonsai tree but plants and trees in general. Even if you do not have the green thumb having the passion and the genuine concern for mother nature is more important than any other motivation to keep your garden alive and looking for amazing throughout the year. We hope that you enjoyed this tutorial. It will surely make you a better bonsai gardener. Kindly comment your insights, ideas, and share your bonsai gardening experiences with us below. You may also want to share this information with your family and friends! Happy bonsai growing!